Very few places are as lucky as we are in Rotorua for the availability and number of excellent waters for trout fishing. Catching your own dinner is something that connects us with our earliest ancestors and fulfills an important part of our hunter gatherer psyche. There is a feeling of being connected with the environment that is lacking from our modern day existence. There are 16 lakes of various sizes scattered around the district and a multitude of rivers flowing in and out of them. Almost all contain Rainbow and Brown Trout, with Brook and Tiger Trout in a few as well. Should you enjoy fly fishing, trolling, jigging, spinning, stalking big fish in crystal clear spring fed streams, fishing by touch in the dead of the night, or just soaking in the beauty the lakes have to offer, there is something for you. I enjoy fishing on all the lakes and rivers, and thanks to the hard work of Fish and Game the catch rates are excellent. 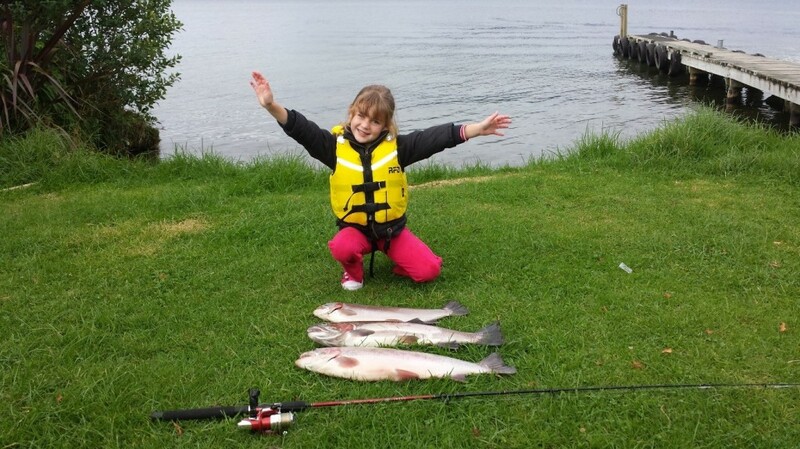 Some of Rotorua's lakes are open all year round while others close over the winter period, however there is always a place to fish no matter when you want to go or what the weather is doing. Trout from most of the lakes average 1 to 2 Kg but there are plenty that can top 4.5kg! As with all fishing the best thing to do is visit a local fishing store and ask a few questions - you will soon discover the best place to head with the tackle that’s working. Having the lakes so close means it is an excellent way of getting kids out on the water and when the fish are biting it can be a really fun way of spending time with them which they will always remember. There is something about being connected to a fish that lights kids up. As well as all the fishing opportunities there are so many beautiful beaches to visit and several geothermaly heated swimming areas which are lovely to relax in. You can even cook your fish in the sand while you enjoy a hot soak on Hot Water Beach on Lake Tarawera. 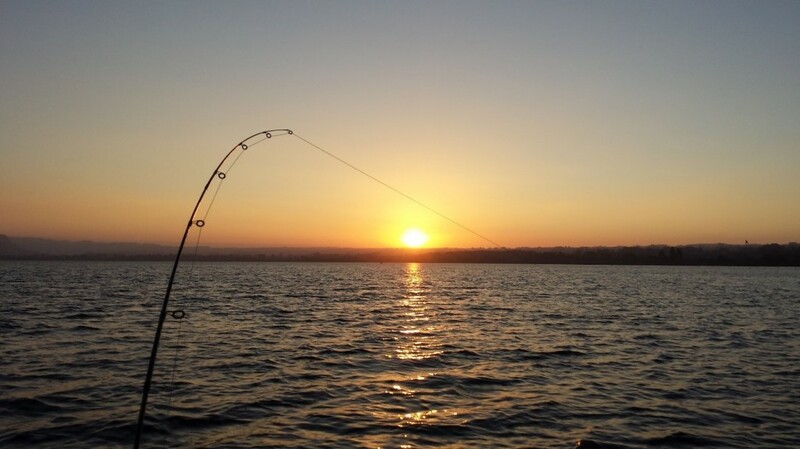 Our personal favourites are fly-fishing at several popular sites such as the Ohau Channel, a short channel that connects Lake Rotorua with Lake Rotoiti. Some of the Canopy Tours team has caught trout up to 7kg from this piece of water and they are always in excellent condition. Jigging is also an excellent method for catching lovely condition fish and this type of fishing can be enjoyed by the whole family as it is relatively easy to do while also using light gear making the catching fun. So what are you waiting for…….? Grab a fishing licence, a rod and head out to one of the many superb lakes and make sure you keep those hooks in the water as that’s where the fish are.